Lightweight with phase change materials, a solar dog house made my Davis Partnerships Architects and the RMH Group. Oreo’s new dog house is constructed of ultra-lightweight, rot-resistant, locally assembled panels made of sustainable materials. The exterior is clad in locally fabricated metal panels with a fire resistant roof made from the same material, and includes insulated glass vision panels to capture the available winter sun. The use of “phase change” materials (materials that change from solid to gel at designated target temperatures) actively absorb or release heat to maintain a consistently comfortable temperature for Oreo. 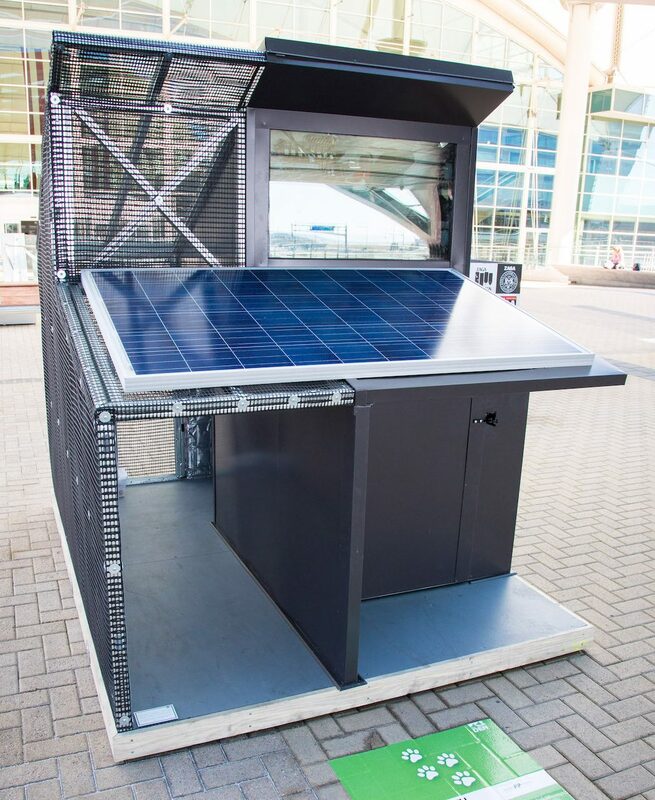 The phase change system works in conjunction with solar powered fan and dampers to provide cooling and heating as needed. 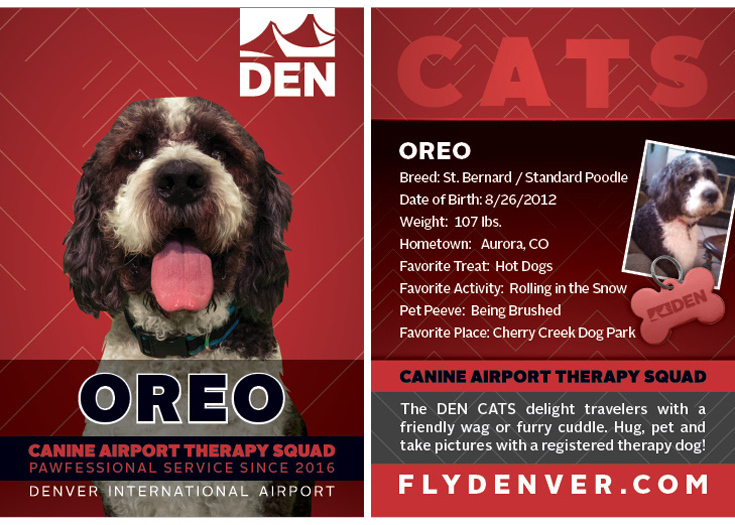 DEN Canine Airport Therapy Squad dog, Oreo, a Saint Bernard/standard poodle mix who likes hot dogs and rolling in the snow. To take advantage of Colorado’s abundant sunshine and cool nights and incorporate sustainable materials, systems are used that are compatible with Colorado’s unique climate. The integration of technology provides a self-sustaining dwelling for Oreo that is comfortable year round. Illuminated red and blue lights on the interior alert Oreo’s owner that interior temperatures are either too hot or too cold. A float switch with an exterior hose connection will keep Oreo’s water bowl full with fresh water.